This is the twenty-first and twenty-second category of the 10th Annual AFT Film Awards to be announced. The AFT Awards are my own personal choices for the best in film of each year and the best in television of each season. The AFT Film Awards include the traditional Oscar categories and a number of additional specific honors. Click here to see previous years of these categories. Nominees are pictured in the order I’ve ranked them. 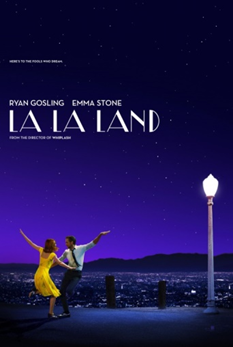 La La Land, for all the backlash that it encountered, was incredible when it started and when it ended, with an unforgettable and amazingly-choreographed freeway dance scene that set the right tone and a heartwarming, heartbreaking picture of what could have been to send it off into movie history. I still think about both and have the music stuck in my head on a regular basis.